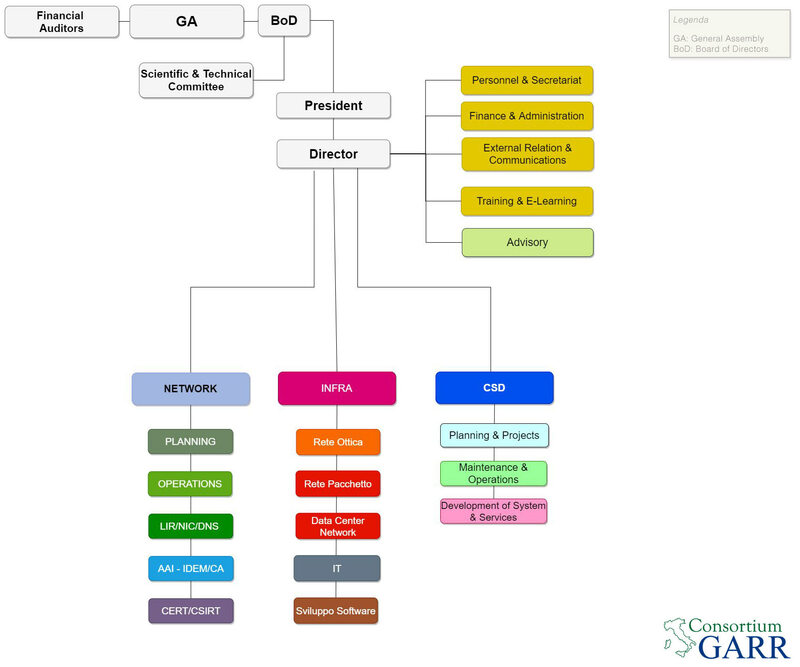 Each entity connected to the GARR Network has its own local manager, the APM (Access Port Manager), which manages the connection with the GARR network and is the technical reference person at the GARR for its establishment. An Access Port Manager (APM) is the technical reference to the GARR of the entire site belonging to a body authorized to access the GARR Network. The APM, with the possible support of colleagues and/or collaborators, must possess some basic technical knowledge sufficient to perform directly the requested role. If necessary the APM, under its own responsibility, can collaborate with managers of other services operating within its own site. must know the basic principles of operation of the e-mail service and be able to intervene on the configurations of the e-mail servers of your site. possible assignment of a private AS number. changes relating to registration with the Registry, EURID and the GARR database of their domain names. changes relating to the registration on the RIPE and GARR databases of their IPv4 and IPv6 networks. the configuration / cancellation of any filters requested by the GARIR CSIRT. advertising on their websites the meeting days organized by GARR. Through the search procedure "Find your APM" you will be able to find the references of the Access Port Manager - APM of the institutions connected to the GARR network.